Sleep disorders and anxiety go hand in hand, and it has been noticed that people suffering from severe anxiety are often sleep deprived too. Sleep studies have also observed that people with anxiety sometimes tend to wake up nearly 10 times a night, which is more than what is noticed in older adults who may wake up four to five times. While sleep aids and herbal remedies may help improve sleep, would you consider using a weighted blanket to relieve anxiety and improve sleep? Weighted blankets are usually heavier than the traditional ones we use and are available in pure cotton or synthetic fabrics. These blankets are usually filled with commercial grade polypropylene pellets to provide the required weight. Researchers who have studied these weighted blankets have found that they can weigh as low as 4 pounds or as high as 30 and are typically picked based on a person’s body weight. Anxiety and sleep deprivation are two major disorders we face today and some studies have shown that weighted blankets may prove beneficial for both children and adults, especially those with problems like insomnia, autism and anxiety. 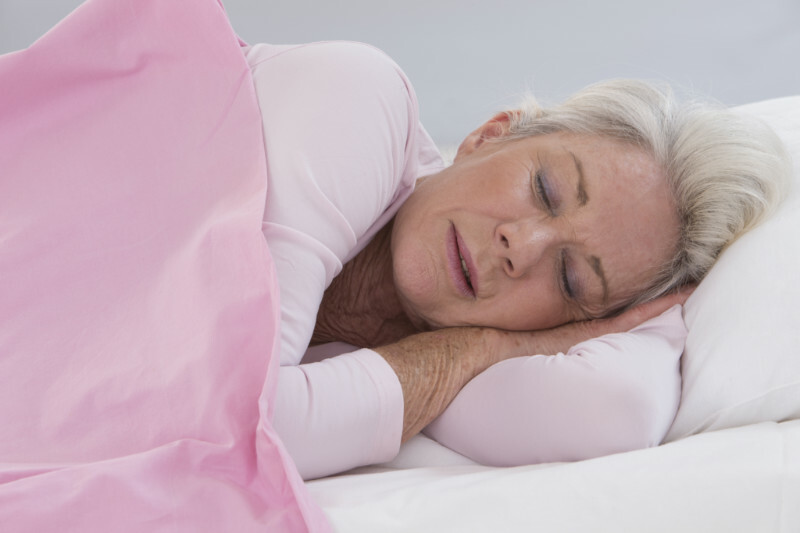 Some specialists believe that these weighted blankets could even replace or complement certain types of therapies that these individuals may be undergoing. The reduction in anxiety symptoms could be because of the deep pressure touch (DPT) provided by the weighted blanket; this effect may help “Ground the body during sleep by pushing it downward,” to help calm the nervous system in people with different conditions including autism. Some therapists have been using weighted blankets or vests on children with autism to calm them from an extremely excited state. Certain studies have shown that this type of deep pressure touch might also lower the levels of cortisol, the stress hormone that can cause problems like anxiety, insomnia and weight gain when left at elevated levels. The DPT provided by a weighted blanket might enhance the production of serotonin and dopamine, hormones that can help the brain feel relaxed and sleepy. Another study found that grounding the body, possibly with a weighted blanket, could help set a pattern for the body’s circadian rhythm and the production of cortisol. This may, in turn, help reduce stress, sleeplessness and even pain in some individuals. So, how effective are these blankets? A study conducted on a small group of adults with anxiety and sleep issues found that 63 percent of the participants saw a reduction in anxiety and 78 percent felt that the blanket helped them calm down. It also helped people with insomnia sleep better throughout the night. Who shouldn’t use this blanket? These weighted blankets, even the lightest ones, are not recommended for infants under the age of one. Also, people with serious health conditions like heart ailments, respiratory issues, women going through menopause and those with fluctuating body temperatures should discuss with their doctors before using a weighted blanket. Though these weighted blankets can be expensive, depending on the particular weight you are looking for, they might be worth a try if no other anxiety-relief techniques and sleep remedies have been working for you.